The first look at My Spy is here, courtesy of the family comedy’s first trailer. Recently teased during STX’s CinemaCon presentation, My Spy centers on JJ, an elite and lethal CIA operative played by the equal parts imposing and charismatic Dave Bautista. When a mission goes wrong, JJ’s busted down a few rungs on the career ladder and goes undercover to run surveillance. But even that cushy op goes south for JJ as a whip-smart 9-year-old girl (Chloe Coleman) busts him in the act and manages to keep the upper hand. 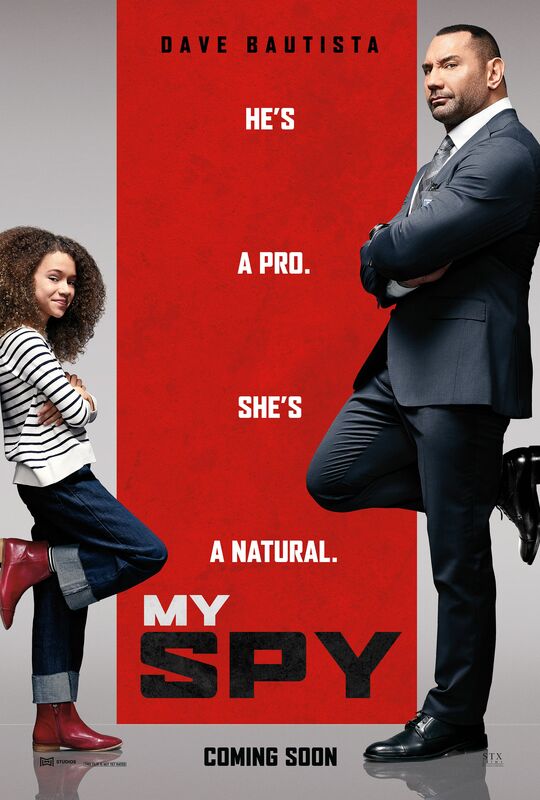 This first trailer for My Spy teases a cute family comedy that pairs a tough, no-nonsense muscleman with a precocious child; you can pretty much guess the rest of the plot points from there. 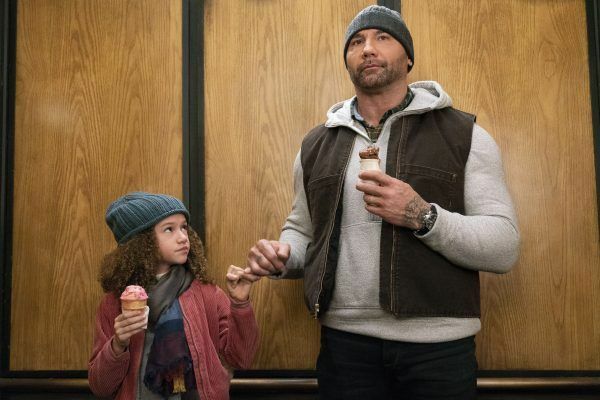 If you’ve seen Arnold Schwarzenegger play the part in Kindergarten Cop, or to a lesser extent in Jingle All the Way, or were paying attention to Dwayne Johnson‘s career for family-friendly movies like Tooth Fairy, Race to Witch Mountain, and The Game Plan, then this should feel familiar. Here’s hoping the crowd-pleasing power of Bautista can keep up with the up-and-coming talent of Coleman when this flick hits the big screen. Directed by Peter Segal (Get Smart) from a script penned by Jon and Erich Hoeber (Red), and also starring Ken Jeong and Kristen Schaal, My Spy arrives in theaters later this year from STXfilms.